Throughout the weekend, three California fires — one east of Chico and two west of Los Angeles — killed at least 31 people as of Sunday night and destroyed many more homes and communities. 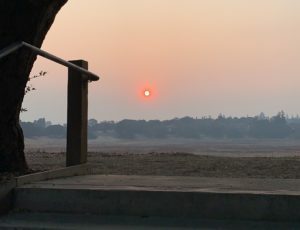 Smoke from the Chico fire traveled all the way down to the Bay Area, enveloping campus and interrupting athletic and club activities due to dangerous air quality. 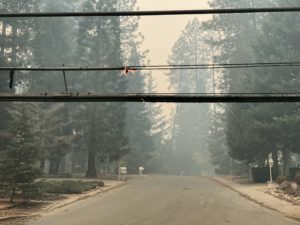 As of Sunday evening, there have been 200,000 acres of land burned across the state across the state and 300,000 people forced to evacuate their homes. Of the 8,000 firefighters working in California, six have been injured on both fronts, but the extent of their injuries has not been announced. The air quality across California has also, in many places, greatly exceeded safety thresholds. Of the three fires, Camp Fire is the largest: Now confirmed to be the most destructive fire in California’s history, it began early Thursday morning in Plumas National Forest, north of Sacramento, and has rapidly spread to 109,000 acres, destroying more than 6,700 buildings. Stanford campus has been indirectly affected by the Camp Fire. Smoke from the fire has drifted onto campus, making the air quality dangerous for susceptible populations such as older adults, children and those with pulmonary and respiratory conditions. Beginning Friday morning, the air quality index (AQI) began to rise rapidly in response to southward blowing smoke. By 10:45 a.m., Stanford AlertSU announced in an email that the on-campus AQI reading of 171 fell into the “unhealthy” category. The AlertSU advised limiting outside exercise. Further information from GoStanford showed that the AQI was hovering around 200, periodically switching from “very unhealthy” levels, defined as those over 200, to “unhealthy” levels throughout the day. Stanford Athletics requires complete cancellation of all outdoor activities when the index reaches 200. Even with the fluctuating air quality, three of four home sporting events schedule for Friday were completed, and all two home sport events on Saturday were completed. “We opened the pools as procedure, but the smoke levels were dangerously high — the air pollution and AQI was also dangerously high, in the very unhealthy range,” said Rebecca Spencer ’22, a lifeguard Avery Recreation Pool. 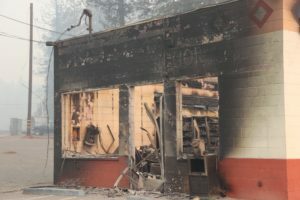 “What we had to do in the end was close the pool for the safety of both the patrons and the lifeguards because we don’t want people out there exercising and doing strenuous work while inhaling dangerous chemicals and bad air quality,” Spencer continued, adding that the pool remained closed on Saturday as well. The smoke also impacted student athletics; the women’s swimming and diving meet was canceled, and many other teams including women’s lacrosse and football had modified practice schedules. A member of the women’s lacrosse team told The Daily about changes to practice in light of the conditions. Among other groups, the football team was affected by the smoke, relocating their practice to the Arrillaga Family Sports Center on Friday and the Stanford Wushu team’s joint-practice with Berkeley was cancelled. Just 25 percent contained after a weekend of firefighting, Camp Fire is now tied for California’s deadliest fire in history. In addition to the 31 fatalities, another 110 people from affected areas are considered missing; officials believe many of them will be found in safe locations once the initial panic subsides. On Thursday, the Camp Fire quickly leveled the town of Paradise, a town of 27,000 people, with city officials estimating that between 80 and 90 percent of the town’s homes had been destroyed. Some residents evacuating Paradise became trapped in gridlock traffic, some abandoning their vehicles and escaping the nearing flames on foot. Meanwhile, the two fires in Southern California, the Hill Fire and Woolsey Fire, have necessitated a total of 265,000 evacuations. Woolsey Fire began in Oak Park and spread separately south and east towards Malibu and Calabasas, covering a swath of land 83,000 acres large and destroying over 170 structures. Two fatalities have so far been reported in the blaze. The Hill Fire is smaller than Camp and Woolsey, covering only 5,000 acres of land at 70 percent containment. 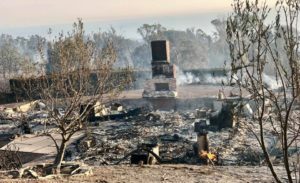 Chase Kapler, a Malibu resident whose house burned down in the Woolsey Fire, told The Daily that he and his family had to sit in standstill traffic for three and a half hours trying to evacuate. Although the Woolsey Fire was in a lull as of Sunday night, firefighters worried that dangerous Santa Ana winds forecasted through Monday would exacerbate the conditions. The city of Thousand Oaks’ mandatory wildfire evacuations came just on the heels of a deadly shooting in the city last Wednesday that left 13 dead, including the shooter. While evacuations were lifted on Thousand Oaks and cities to the west, they remain in full effect south and east of the city. California was especially susceptible to fire this year due to the exceedingly hot summer and a resurgence of the drought. Rains from two years ago contributed to a spike in vegetation growth that gave this year’s fires more to burn. With global warming showing no signs of slowing down, experts predict that California’s wildfires will be even more dangerous in coming years. Contact Cooper deNicola at cdenicol ‘at’ stanford.edu.